MASA Architectural Canopies is a powerful partner to engage if you are looking for custom commercial awnings to complete a building project anywhere in the United States. It is said that time is money, and this certainly enters the picture when you are involved in a commercial building endeavor. You need to identify resources that can provide you with exactly what you need without any hassles, excuses, or delays. We are that type of resource. 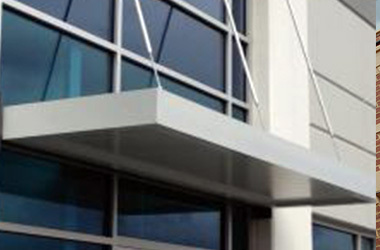 When it comes to awnings for stores and other commercial structures, our company has established its reputation as the unrivaled leader for custom canopies of all kinds. We have three 44,000 plus foot facilities in strategic locations, and we also have relationships with top notch manufacturing concerns all over the country. As a result, we have a very wide reach, and we have worked with some of the most highly recognizable retailers in the United States. 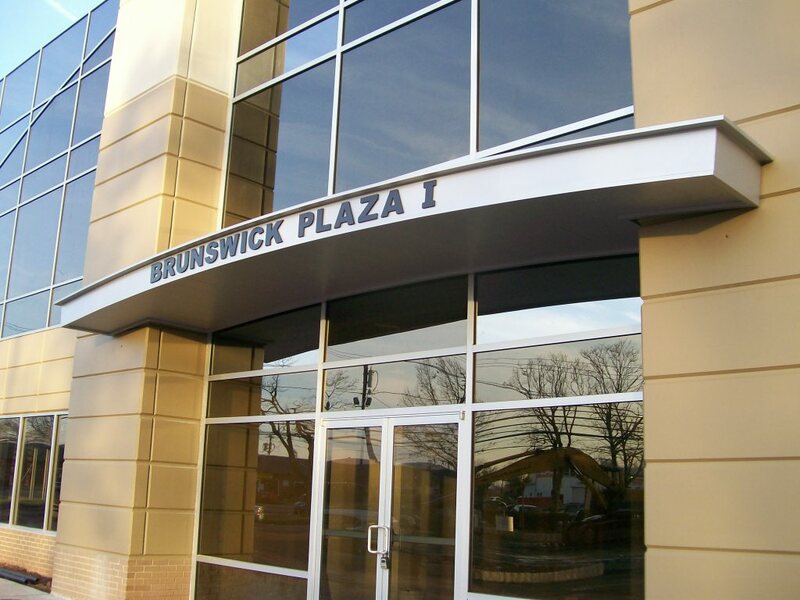 In addition to our many retail clients, other types of major corporations have often reached out to us for aluminum awnings when they are engaged in construction projects. 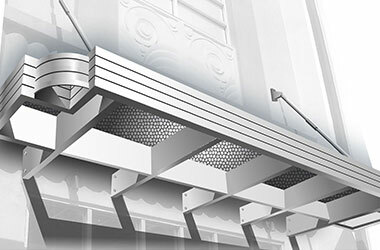 A significant percentage of our work involves designing, manufacturing and installing awnings for stores. Since we have a highly creative team of talented designers and architects right here in our house, we endeavor to provide a full palette of aesthetic possibilities without sacrificing any functionality. To achieve this goal, we offer a wide range of different awning lines that include aluminum metal awnings. 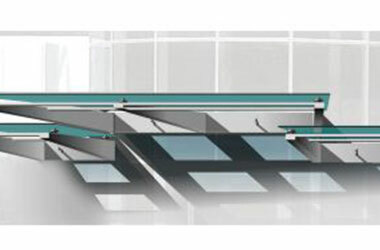 One of them is the sought after Alumiframe welded aluminum frame awning. Clearly, aluminum awnings are going to be much more durable than their fabric counterparts, and this is one benefit. At the same time, this is a lightweight metal awning, so there is no undue pressure on structures. Though we install metal awnings for stores that are being built, our aluminum awnings are also very easy to add after-the-fact. 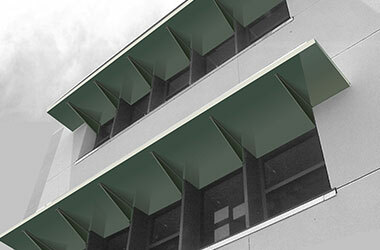 Plus, required maintenance is very minimal when you utilize these Alumiframe outdoor awnings. In addition to our custom commercial awnings and awnings for stores, we are also the premier source of walkway covers for all applications. Schools, hospitals, government buildings and complexes, corporate campuses, and other facilities are going to need walkway covers, and we can provide the ideal solution for any project. 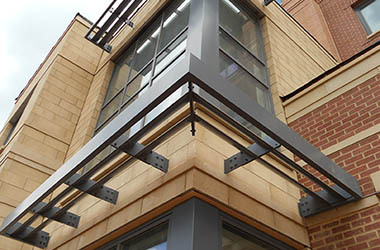 Get in Touch With MASA Architectural Canopies! If you have questions about awnings for stores or custom commercial awnings of any kind, feel free to give us a call at 800-761-7446.